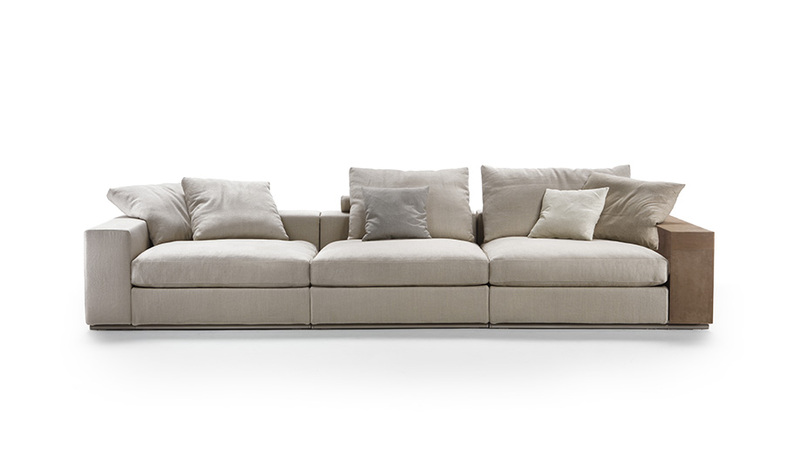 Flexform celebrates 15 years of its iconic Groundpiece sofa, designed by Antonio Citterio. 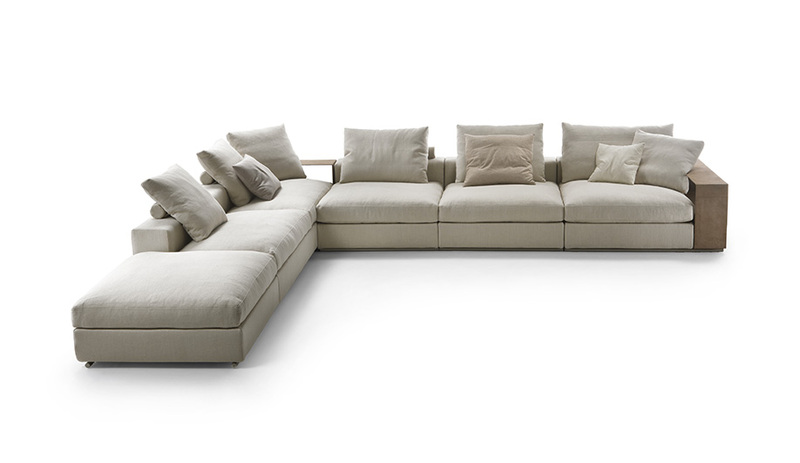 In 2001, Italian furniture makers Flexform launched a product that would revolutionize the way the brand – and its clients – looked at sofas. 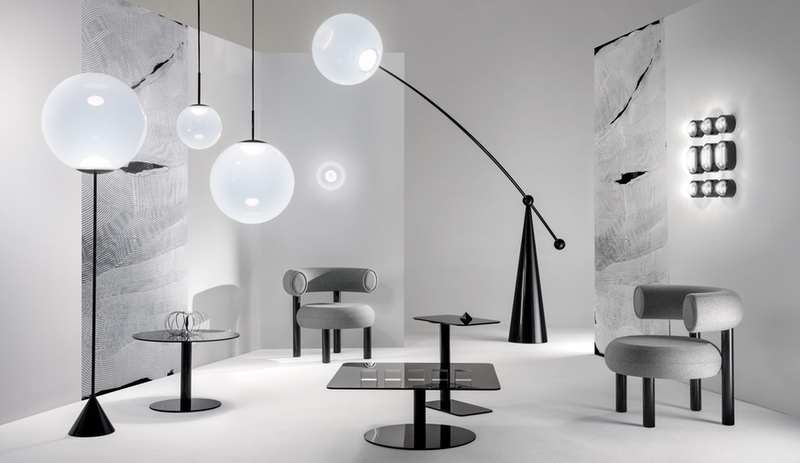 Designed by Antonio Citterio, Groundpiece re-imagined proportions and expanded the possibilities of usage, making “a clean break with clichés” to encourage relaxation. It pushed away preconceptions of formal sofas, combining a deep, low seat and large goose down cushions with simple and clean lines. This now-iconic collection is elegant enough to be at home in any luxury interior, yet comfortable enough to sit back and settle in to read a book, watch television, even work on a computer or eat dinner. But the flexibility doesn’t end there. 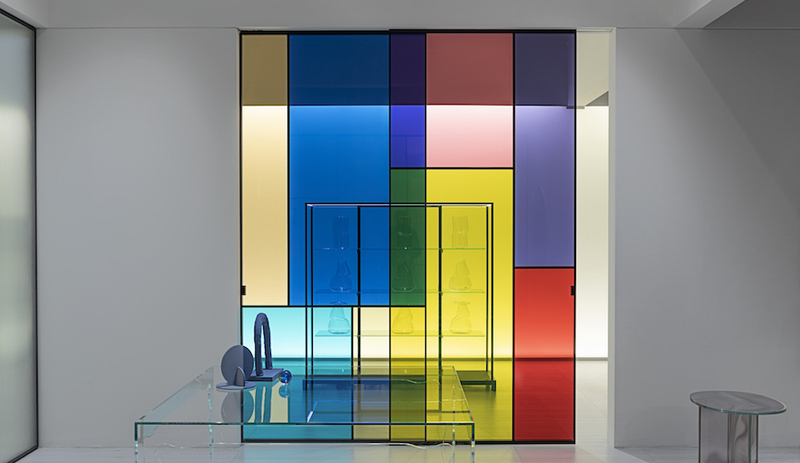 Groundpiece is a completely modular system that offers endless possibilities. 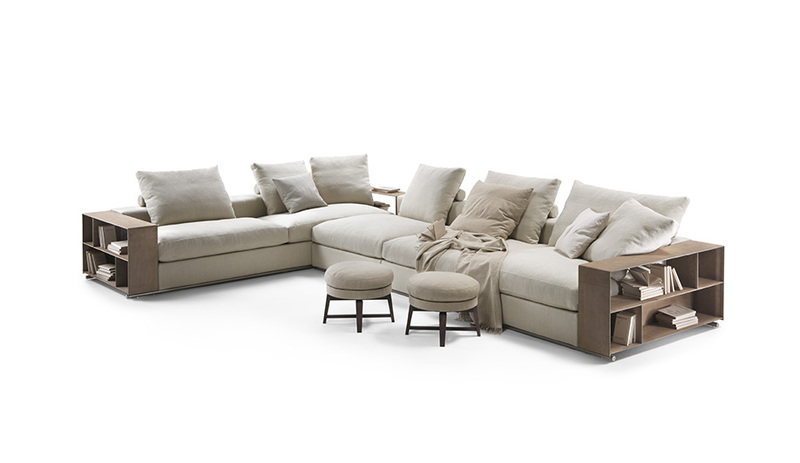 The line includes a sofa, an ottoman, a chaise longue and storage pieces that form custom combinations to suit the client. At once complementary and contrasting to the down-filled cushions, the metal storage units are a standout feature in any composition. 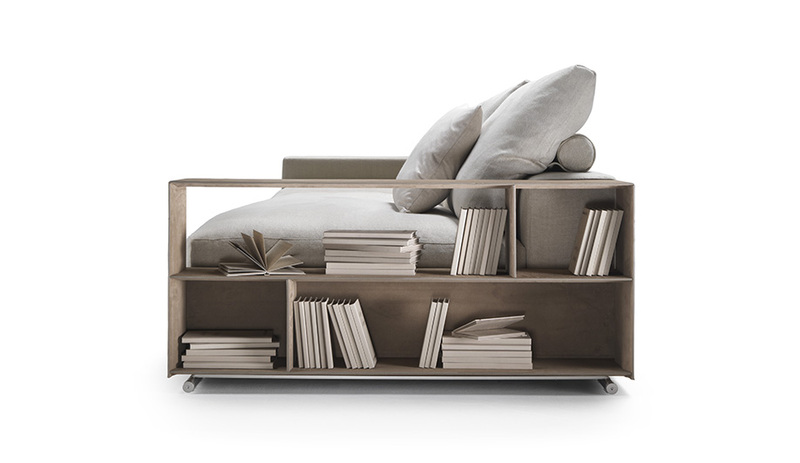 Wrapped in cowhide, they replace the arms or sections of the sofa’s back, to act as a side table or as shelving for books and other items desired close at hand. The low profile of these pieces, as well as the bolster back, keeps Groundpiece from interrupting sightlines in condo spaces where glazed walls are often a highlight. The variety of grid-based segments combine to create as large or as small a configuration as a space allows – fitting into any interior, from tiny condominium units to grand lobbies. 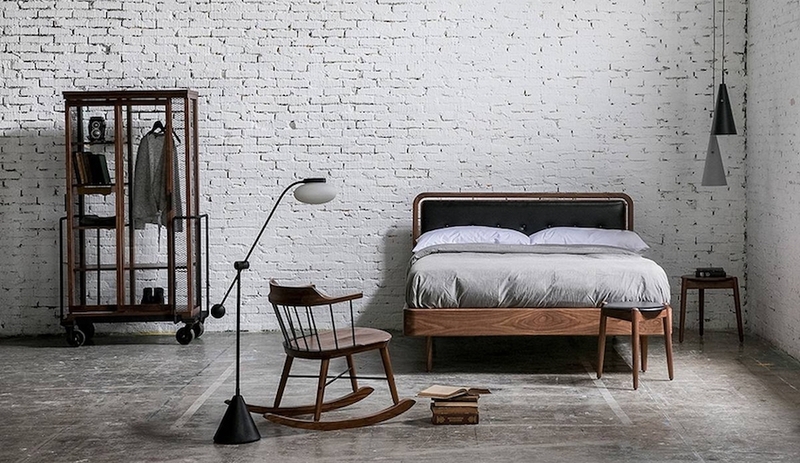 Groundpiece can even find its way into the bedroom: the collection includes a bed version that comes with an upholstered headboard. 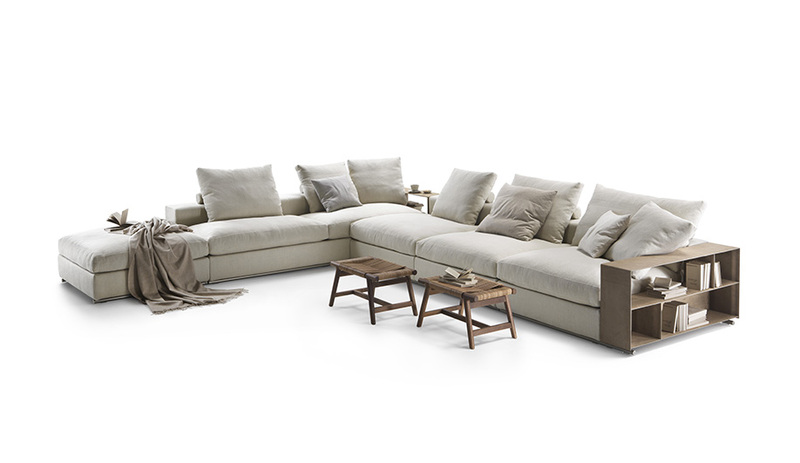 Citterio, who has overseen Flexform’s collections for decades, notes that it is “the combination of rigorous cowhide and down-filled cushions that is the secret of this timeless balance.” A modern classic, Groundpiece at 15 looks as fresh and dynamic as ever, and remains a bestseller for the brand. This content was published by Azure on behalf of Flexform.